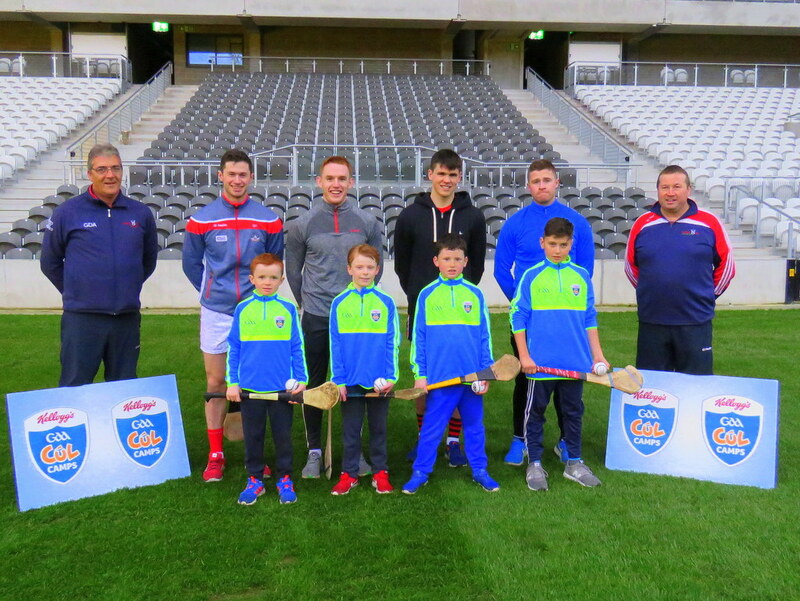 On Monday 9th April 2018 in Pairc Ui Chaoimh, Cork this years Kelloggs Cúl Camps were launched. On the evening Paudie O’Brien, Cork GDA & Cúl Camp Coordinator spoke about the increase in the numbers attending camps in Cork county each year stating that nearly every club in Cork run the annual Cúl Camp and that many of today’s senior players started their GAA career at Cúl Camps. It was great to see Seamie Harnedy, Patrick Collins, David Griffin & Conor Lehane, all members Cork Senior Hurling panel prersent for the launch on the night. These players all have fond memories of taking part in their own Cúl Camps, and over the last number of years have been taking time out of their busy schedules to visit the camps around the county. Each year we see bigger numbers of young children taking part in the Kelloggs Cúl Camps and as they grow older those same children then become young coaches at the camps, under the guidance of the local club coaches and committees. The numbers of young people doing the TY foundation courses in Post Primary schools bears out that the interest is there and that during the summer these young coaches have a huge part to play in the Cúl Camps. When you add in the cost for families to take part in the camp you have a fun filled week of hurling, football, camogie, rounders, handball and lots of games to develop the skills of our national games for the players.